1. Designed for all kinds of invertory products. 2. Tray measures-18.11" X 40.5" X 36.42"
The bulk stand is made of corrugated material, that is light weight to transfer. If you are about to plan a sales campaign, the dump bin with shiny finish will take products into an eye-catching presentation. 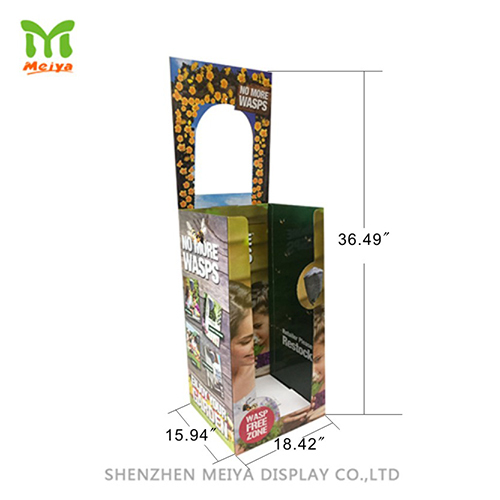 Large size on head card- 18.11" X 20.87", print products literature to draw attention to your sales campaign.